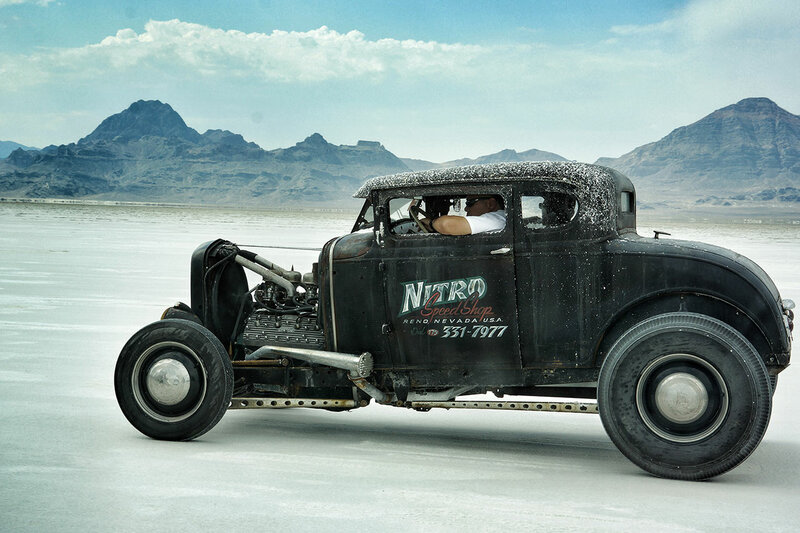 There are few places on earth that are so steeped in speed history – sure there’s the famous race tracks such as Monza, Silverstone, Indianapolis; road race venues including the Mille Miglia, Targa Florio, TT and Le Mans but Bonneville is the mecca for speed merchants and those that have succumbed to ‘Salt Fever’. 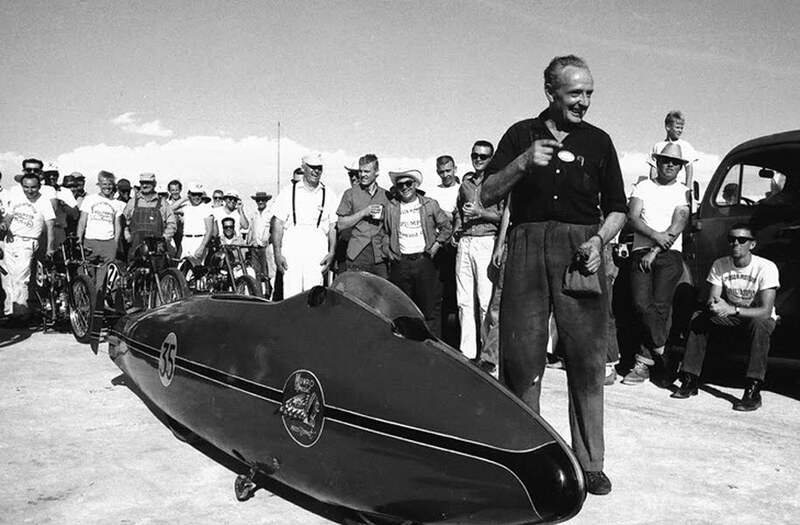 There have been many locations that have hosted successful Land Speed Record attempts – Pendine Sands in Wales, Daytona Beach, Florida and Southport Sands in England but Bonneville has become a location that will forever be associated with speed – each year Bonneville hosts events that attracts a special kind of person; a person who is prepared to ‘put it on the line’ and go for a speed they, or others in their class, strive to achieve – much the same as speed events where it is just the rider, pilot or driver trying to beat the clock over a set distance – that might be a drag race, sprint or hillclimb – it is a selfish need to better the last time or speed you set. Miles of flat dried out lake bed marked out with a painted line for you to follow as you ‘pull the pin’ and go as fast as you can. 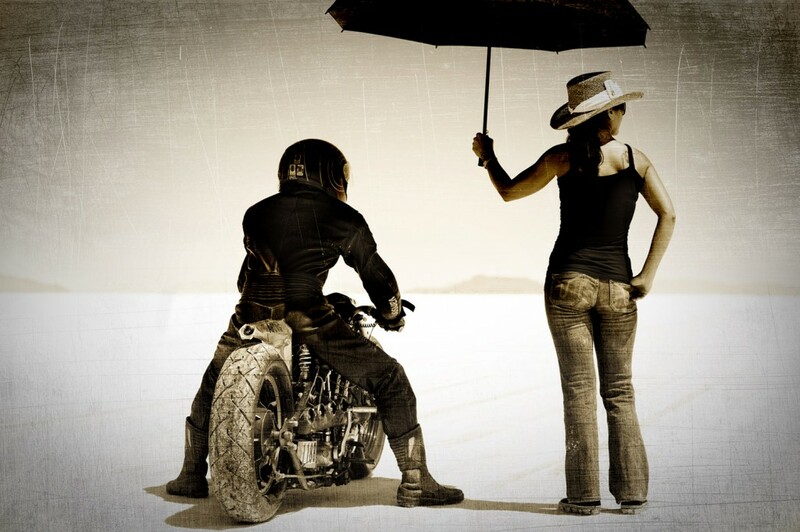 August is the month when it all happens, the Southern California Timing Association and Bonneville Nationals Inc. organise SpeedWeek which attracts hundreds of riders and drivers then later in August there’s the BUB Motorcycle Speed Trials. Bonneville. 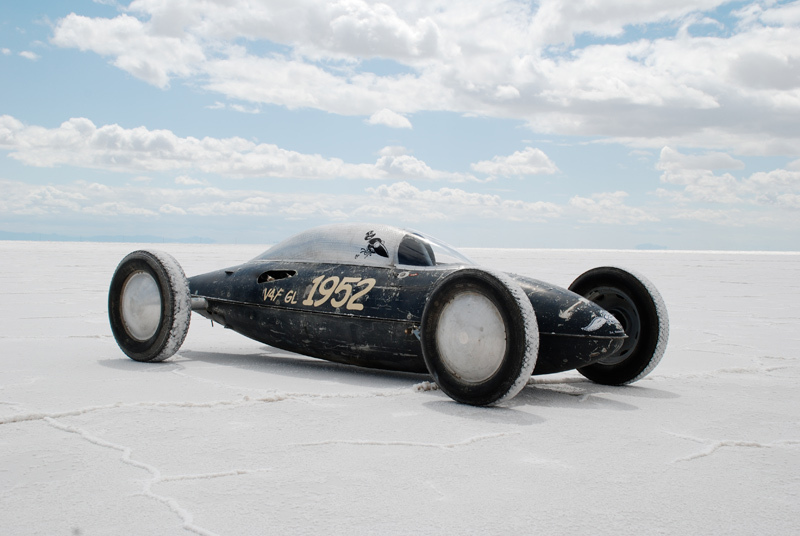 An area of the Bonneville Salt Flats near Wendover, Utah, first used for motor sports in 1912, but it was brought to the public’s attention from the 1930s to the 1960s when the likes of Sir Malcolm Campbell, Craig Breedlove and Art Arfons competed to set land speed records. There are many superbly engineered machines that take part but it is the hot rods and ‘streamliners’ that really capture the imagination – after the second World War the ‘speed hunters’ used the drop tanks from fighters – the ‘Belly Tankers’ – to reduce drag and ‘Old Crow’ from the Old Crow Speed Shop is one of these hair-raising cars that still competes… definitely not for the faint-hearted! 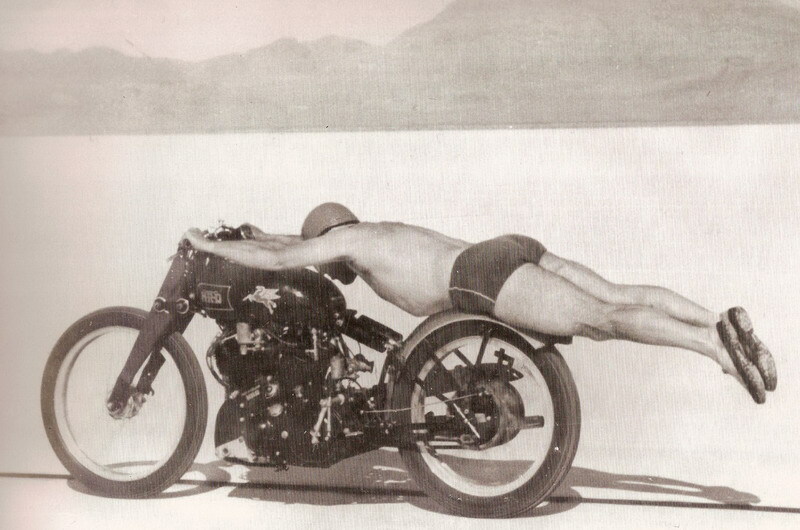 Notable motorcyclists include Roland Free who, in 1948, famously rode his Vincent HRD to a speed record of 150.313 mph only dressed in swimming shorts and, in 1967, Bert Munro rode his legendary home-built Indian Scout to a record of 183.59 mph – a record that still stands! True offerings to the Gods of Speed!